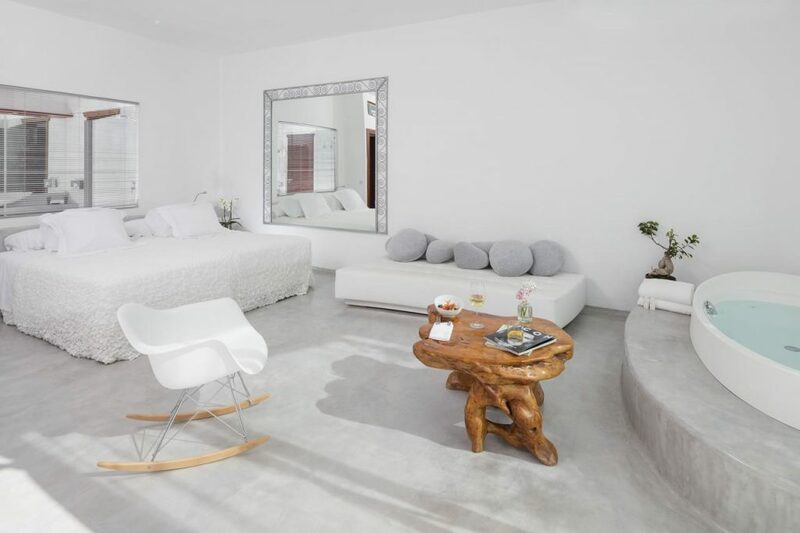 While Ibiza might have a reputation of being all play and no rest, you’ll need to get in some relaxation, and there’s no better place to do so than at the elegant Hacienda Na Xamena. 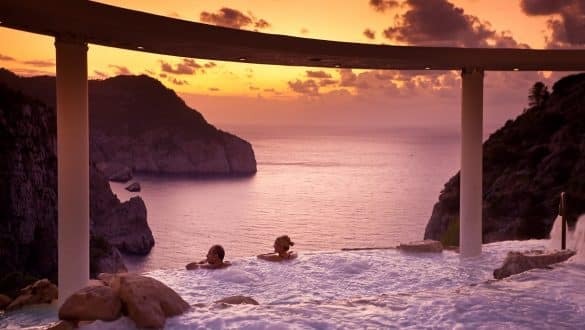 It was the first and only five-star hotel in Ibiza for nearly two decades, and it is still known as being one of the most special resorts on the whole island. Where exactly is Hacienda Na Xamena? 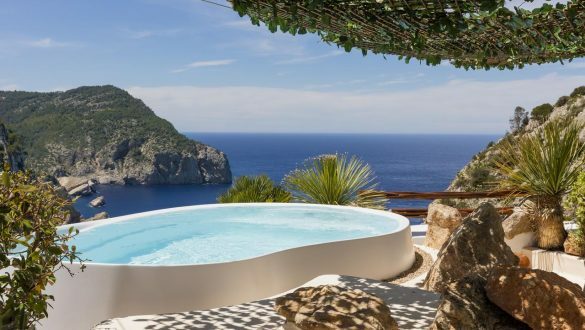 This luxury Ibiza resort is on top of a cliff on the island’s north coast, 180 metres above the sea. 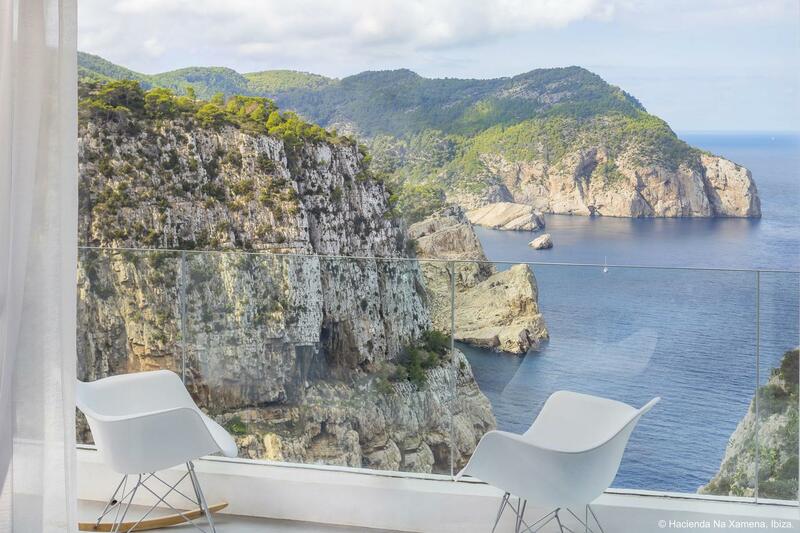 Expect incredible views to the Mediterranean Sea, and unforgettable sunsets. 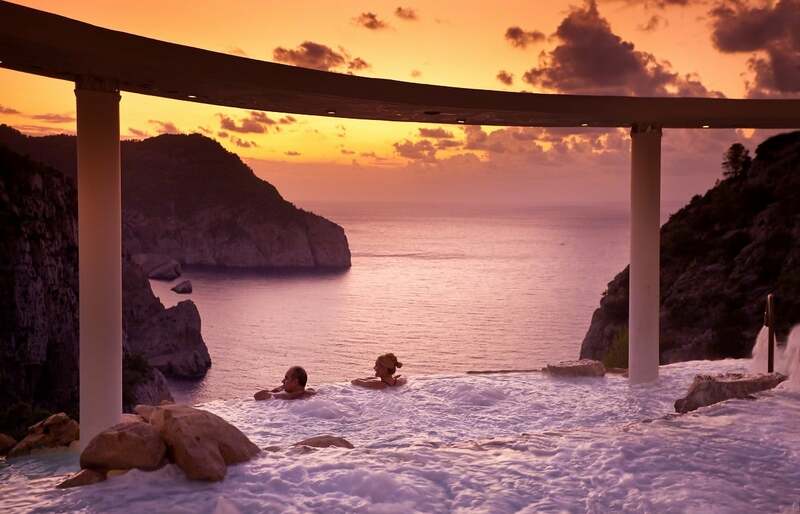 You’re just 30 minutes drive from all the madness of the clubs. What’s so special about this hotel? 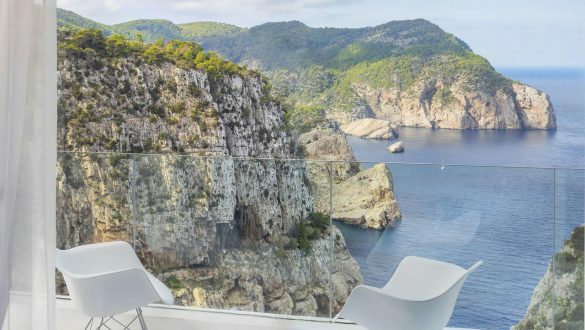 All rooms and suites have sweeping views of the sparkling blue waters below, with suites even coming with their own hammam and private mini-pools. 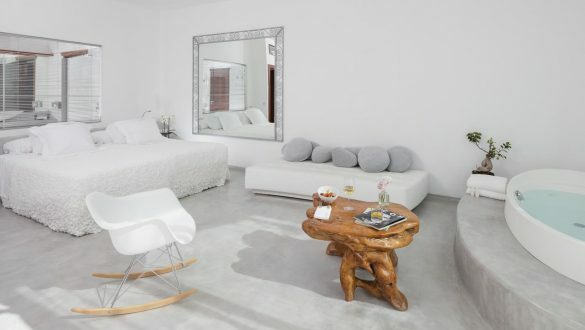 The decor is hippy-chic, with white wash walls and colourful paintings from local artists. 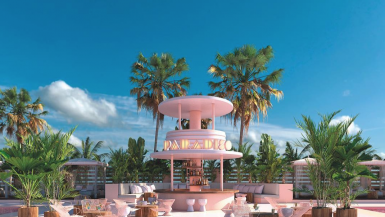 The beautiful spa has eight different outdoor pools of varying temperatures and hydrojet pressures if you want to really take it easy. 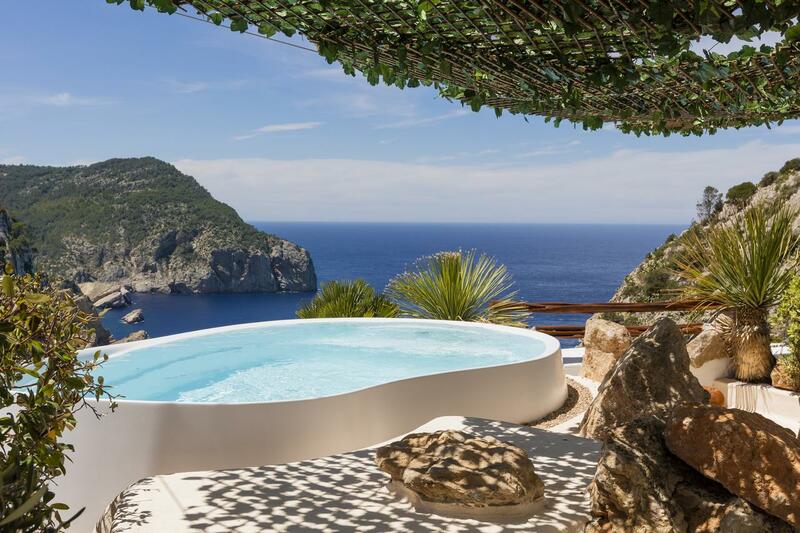 Hacienda Na Xamena also has a private cinema, its own beach and will organise boat trips around the island. How much does it cost to stay there?